Bruno Paillard's vintage cuvée is made exclusively from the first pressing of the grapes (the purest juice) and presents a harmonious balance between generous aromas of almonds, fresh fruits and spicy notes. After eight years ageing on the lees and twelve months post-disgorgement, this is a champagne to watch for the future. 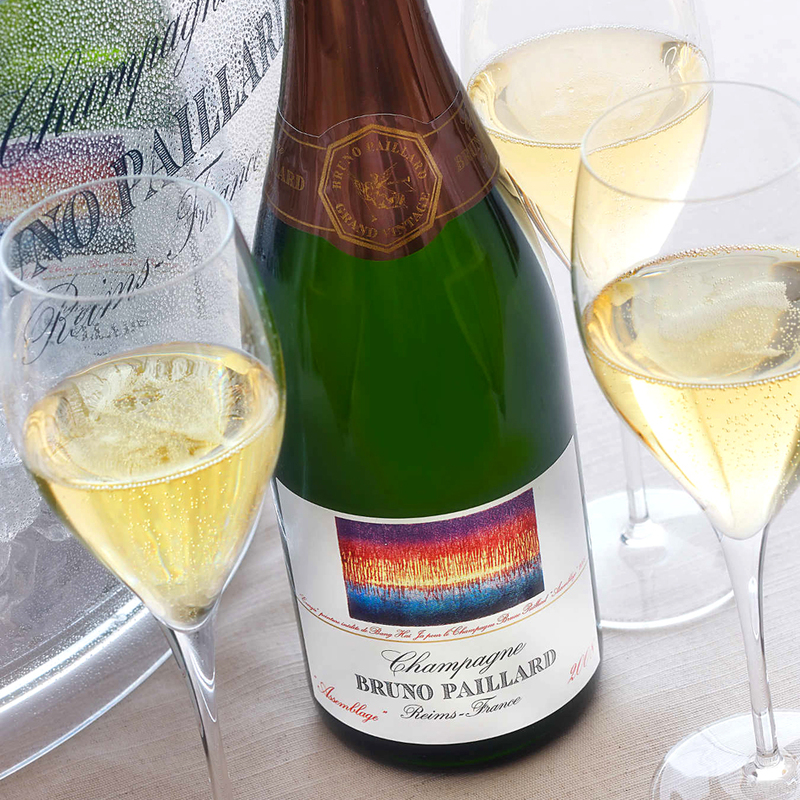 Each vintage of Bruno Paillard Assemblage features a different painting on the label, expressing the story of the year in a contemporary and visual way. The 2008 label was designed by Bang Hai Ja, illustrating the powerful vivacity of 2008 alongside the theme: "Energy". Just 1,000 magnums of Bruno Paillard Vintage Assemblage 2008 were produced. 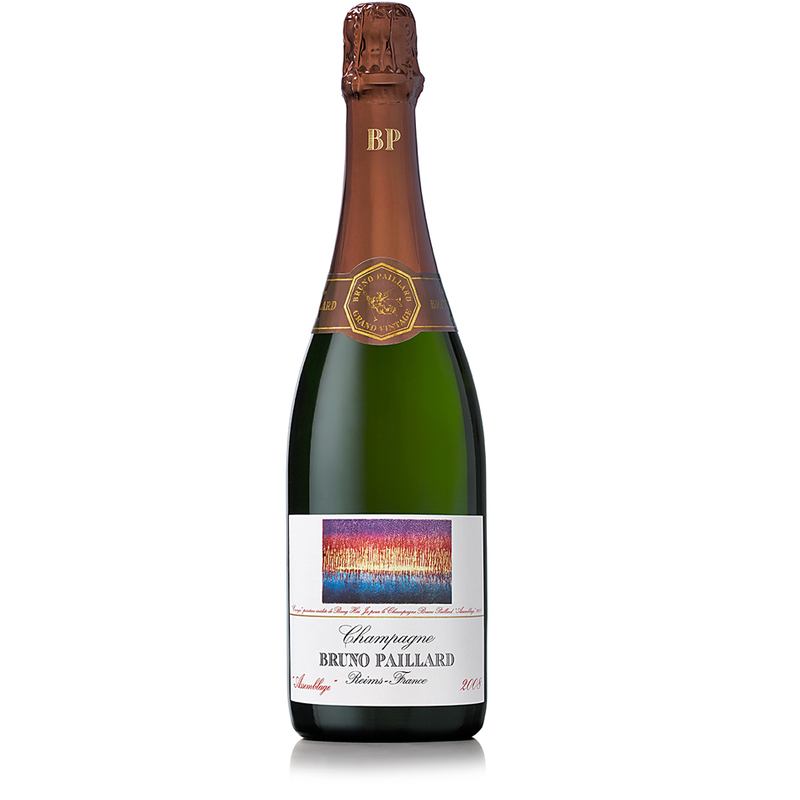 News Article: Bruno Paillard Vintage Assemblage 2008 placed seventh in our comprehensive blind tasting of 2008s in June 2017. Read the full write-up here. Tasting Note: A bright yellow golden hue with a fine bead of bubbles. The nose is very generous with aromas of cherries and hints of red fruits and citrus. The mid-palate develops to continue the red fruit and citrus theme with an abundance of wild strawberries and lemon leading to a long-lasting finish. In 1981, entrepreneurial twenty-seven year-old Bruno Paillard sold his beloved Jaguar and started a Champagne House; the first in nearly a century. After two decades of unprecedented business development and engineering invention, he was quickly accepted as one of the best producers in the region. Now the proprietor to thirty-two hectares of land that cover the best Crus of Champagne, the Maison receives grapes from over forty carefully selected plots to blend into their cuvées. The reserve wines at Bruno Paillard are kept in tanks and small oak barrels and the House uniquely uses a rare technique in Champagne: blending the reserve wines a year prior to assemblage. The multi-vintages mature in the cellars for an average of three years and the single vintage wines for between eight and twelve years. Since his first vintage in 1983, Bruno has displayed disgorgement dates on the back label so that wine-lovers can track the development of their champagne - a pioneering trend that other producers are only just beginning to replicate. Still a family-run operation, Bruno regularly tastes some 500 barrels and 110 cuvées in the ultra-modern Reims-based winery, alongside daughter Alice Paillard and Cellar Master Laurent Guyot. In 1981, entrepreneurial 27-year old Bruno Paillard – a descendant of a family of brokers and growers whose lineage dates back to 1704 – sold his beloved Jaguar and started a Champagne house; the first in nearly a century. In a narrative normally reserved for Hollywood movies, Bruno’s story is equally remarkable as it is uplifting and inspiring. After following in the family footsteps and working as a broker for 6 years, young Bruno felt the overwhelming desire to create his own Champagne, one that would go beyond what was available in terms of purity and elegance. 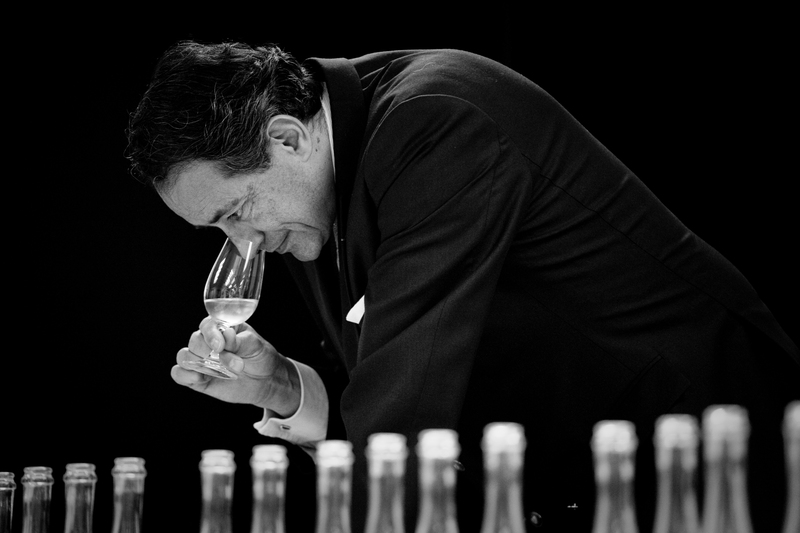 In 1983, after a reclusive 3 years working like an alchemist in a rented cellar, Bruno finally reached the style of his dreams and created his first Champagne using carefully selected grapes from independent growers. Not content with an already astonishing achievement, Bruno then invented the first “ground-level” cellar – then unheard of in the region – which allowed him complete control of temperature, lighting and humidity. Soon after, the press took note and began ordaining him one of the best Champagne producers in the region. Not stopping there, Bruno built the current winery in 1990 and began purchasing vineyards in 1994. The house now owns 33 hectares across 16 villages (almost half of which are rated Grand Cru and located in the best viticulture areas in the region – astounding considering fewer than 10% of Champagne’s vineyards are classified Grand Cru), which supply 65% of production needs – amounting to an annual production of around 500,000 bottles. These vineyards are farmed organically and each harvest in done by hand according to the particularities of each parcel; a rigorous undertaking given the vineyards are subdivided into 40 different parcels. The house continues to produce multi-vintage and vintage Champagnes in accordance with Bruno’s strong commitment to quality: each Cru is vinified separately, only first press juice is used, wines are aged for 3-5 times longer than the minimum required and consistently low dosages are added to maintain purity. Bruno Paillard also pioneered the display of disgorgements dates on the back label of bottles (first doing so in 1983), a quality step now being replicated by other houses.